Client Testimony. Danone: How To Move From Shadow IT To Managed IT? 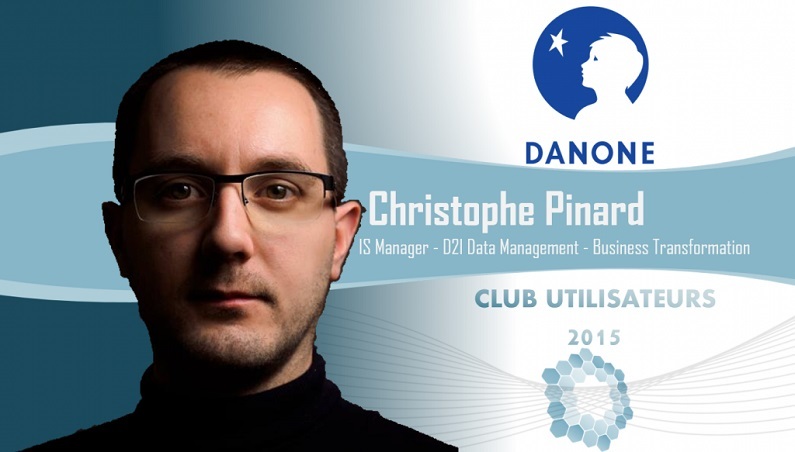 As a Data To Insights (D2I) Director, my mission is to help Danone become a “Data-Centric” organization. Our team believes that data is an asset, a resource that deserves to be valued. That’s why my team supervises projects related to Business Intelligence, Master Data Management, and Sustainable Performance. For this last domain (“Nature”), D2I manages Key Primary Indicators, publishing solutions for carbon footprint and water consumption. But let’s go a few years back. In 2012, when Danone discovered Gathering Tools, I was also managing the Web Solutions team. Like in most large companies, we knew that users had a lot of data gathering processes. Most of them where informal; they did not justify a budget to implement an IT solution and, by default, were based on Word and Excel documents sent through mass-emailing. Every time a functional department was asking us for help, our answer was always the same: we will replace the existing process by a web site. Web Development: When Does It Stop Being Efficient? Web development was a perfectly established practice when Excel-based processes were showing their limits, with difficulties in monitoring data collection and consolidating that information. Our users were more and more frequently asking us to develop web-portals for their data collection campaigns. At one point, we began to ask ourselves if it was the best solution. In fact, even if we had an expertise in web development, costs remained high: up to 200 days. All those websites represented specific developments that needed to be maintained independently. In addition, knowing what we were capable of, users became more and more demanding about user-friendly and aesthetic designs that weren’t giving functional added value to the project. We realized that our methodology reached its limits and had no economic value. This is when a colleague from the finance department told us about Gathering Tools. We quickly realized that Gathering Tools had huge potential. – Enhance information efficiency by focusing on the real needs: users’ needs to secure their data collections, monitor them, and consolidate gathered data. A beautiful website with fancy animation is nice to have, but not necessary. – Enhance the relation between the IT department and the other functional departments. Let’s be clear, deleting Excel is a Utopia. That is the reason why many tools provide add-ins, plug-ins, and an Excel interface to give the users access to the Information System. Meanwhile, asking the users to renounce to all the documents they build for a different tool is a huge risk factor. Danone has 150 Business Units and more than 300 sites: if each project must have change management, we simply can’t do it. Gathering Tools solves this problem: by keeping the same design and the same functions as Excel spreadsheets designed by the user, and by deleting Excel technology from the process, we make our data collection more reliable with a technology tailored to our own need. Instead of fighting against the users, we move from Shadow IT to Managed IT. Since the first successful projects, we started to communicate about Gathering Tools to all our employees. We now have fifteen different Gathering Tools projects already in production. Some of our projects are very ambitious with more than one hundred contributors, when others are based on a small amount of contributors. In general, we can say that we “sell” the product very well by explaining to the functional departments that they won’t lose any of their investment, and that they are going to get their information faster. In fact, their feedback is very good: their process is less time-consuming, Gathering Tools brings them a lot of comfort, and they recognize that Gathering Tools gives a different role to IT. We can provide solutions at a reasonable cost and an efficient time-to-market. First, Gathering Tools allowed us to lower our costs. When web-based solutions took us hundreds of days, GT projects need between 15 and 20 day/man. We recently realized our fastest GT project in 6 days! All in all, we found a decrease in our costs of around 80%. Gathering Tools enhanced our data quality. By integrating more efficient coherence tests before the contributor submits data, by managing with complete traceability, and by connecting with other databases, we can combine functional needs with our referential data. GT allows us to understand our data lifecycle and represents an important step on our road to digitalize our processes. Gathering Tools represents a benefit in urbanization. In the past, data exchanged with Excel stayed out of the Information System. Today, 30% of the data collected through Gathering Tools is stored in our Group Data Warehouse; the other data is stored in dedicated databases that stay available. This is fundamental for us because, even if now most reports are designed by IT teams, Danone’s goal is to provide a self-service BI that we are already testing out. We think that the most important role of IT is to advise. Every division, department, function, has its own needs, and we create the missing link. It’s this horizontal vision in our processes that makes us more relevant to advise the functional departments. For each demand we receive, we have to understand the final goal that the functional user has. We chose Gathering Tools because it’s a tool that fits with our strategy: by enhancing IT’s collaboration with functional departments, by allowing them to lead the projects, and by allowing us to provide solutions in a shorter time-frame, Gathering Tools contributed to reduce Shadow IT and increase the urbanized data perimeter, with a strong appreciation from the final users. That way, we’re promote business users’s empowerment while securing their data. It’s an additional step on our road to transformation by data.